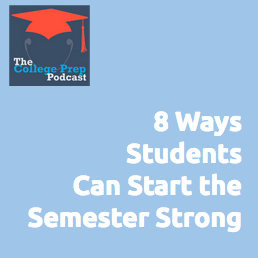 The way you start the semester can make all the difference in regards to setting yourself up for success. 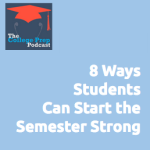 Gretchen has created a checklist of 8 tasks students and parents can take to make sure they’ve got off to a great start. gotten an organization system and supplies that work for you, including an at-home filing system? read through all your syllabi to take note of attendance and late work policies? introduced yourself to your teacher, and if you have a learning difference, told your teacher about it? gotten the phone numbers of 2-3 people in each of your classes? established a “Homework Set Up Routine” for when you get home from school? made an agreement with your parents about how often you (and they) will check your online grades? gotten distraction blockers on your computer? created an exercise regimen that is independent of whatever sports you will play?